Thought I'd feed everyone an update on a few things. First off, IMINT & Analysis has made it into Jane's Missiles and Rockets once again, this time in the May issue for the discovery of potential DF-31 launch sites around Nanyang. Secondly, the guys at Ogle Earth have often found my articles interesting but have decried the lack of downloadable content. I thought about that for a bit, and have decided that they may be on to something. So, from now on, there will be a link to download a Google Earth placemark file at the end of each article, where appropriate. Image of the Week features will not contain downloads as they are just a single place (i.e., extrapolate the coordinates from the image and mark it yourself if you're interested), and text-based articles such as the forthcoming S-300P feature won't either. I may or may not go back and provide downloadable content for older articles. If there is one that you want to see, leave a comment to this post and let me know. I save all of that stuff so it won't be an issue. Thirdly, in light of my second point, here is the download link to the file containing the Google Earth placemarks from the Russian nuclear complexes article: Right click, save as I'll have to be a bit creative as to where I upload these, so if anybody has a good idea, let me know. Blogger.com won't let you upload files! The Google Earth community forum was hosting the file for about thirty seconds before moderator TheLedge complained that it was a duplicate of an existing placemark, obviously ignorant of the fact that most of the sites were not actually marked, especially the storage sites. I can leave the SAM site placemark there for now as I started the file long enough ago to have ownership of the process, but clearly I need someplace else to get these files hosted. That's it for now. I'll be busy for the next two weeks so there may not be any major articles posted apart from the Image of the Week, but I will try to get some things finalized. Once these two weeks are up I'll have a lot more time available so major articles will be posted with greater frequency. As always, comments are welcome and encouraged. And if there's a certain location or topic you'd like to see covered, let me know! Between January of 1997 and December of 1998 a conflict was brewing in the eastern Mediterranean that threatened to launch an armed conflict between two NATO powers, Greece and Turkey. The Cypriot government, much to the apparent dismay of its eastern neighbors in Ankara, made a bold move by purchasing the S-300PMU-1 (SA-20A GARGOYLE) strategic SAM system from Russia. What followed was a chain of events that threatened to result in open warfare. 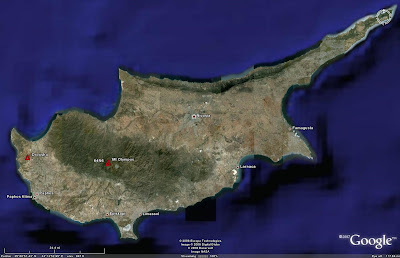 The island nation of Cyprus has had a long and sometimes violent history. Currently, the internationally recognized government of Cyprus controls approximately two thirds of the island, with roughly 35,000 Turkish troops occupying the remaining third, a situation that has existed since 1974. The government of Cyprus enjoys support from the Greek government in Athens, with the Turkish government in Ankara supporting the Turkish Republic of Northern Cyprus in the occupied territory. In 1995, the government of Cyprus began to examine the possibility of procuring an air defense system. Turkish military aircraft had frequently been seen over the skies of Cyprus with no regard to territorial sovereignty, and the December 1995 announcement of the sale of the ATACMs missile system to the Turkish military represented a new threat system capable of hitting targets in Cyprus from the safety of Turkey. Cypriot Foreign Minister Alecos Michaelides announced the purchase of the Russian S-300PMU-1 strategic SAM system on January 5th, 1997. The terms of the deal were not disclosed, with estimates of between $230 million and $600 million appearing in the open press. The S-300PMU-1 appeared to be an ideal fit for Cyprus with regard to the threats it faced. The 150 kilometer range SAM system would allow Cyprus to monitor the airspace over the entire island, and the associated 64N6E (BIG BIRD D) EW and battle management radar would provide adequate early warning of any inbound Turkish military aircraft. The system was also advertised as having an ATBM capability, allowing it to deal with the forthcoming ATACMs missile system being procured for the Turkish military. Turkish reaction to the Cypriot SAM purchase was extremely stern. On the 11th of January in 1997 the Washington Times reported that Turkey threatened a pre-emptive strike against Cyprus in order to block the deployment of the missiles. The political back and forth proceeded as the rest of Europe awaited the outcome. The stern reaction by the Turkish government does not appear to have been logical. Firstly, the S-300PMU-1 is a defensive asset. While the associated radar systems would have been able to peer into a portion of Turkey, no military air bases came under the coverage of either the 150 kilometer engagement range of the missile system of the 300 kilometer detection range of the 64N6E EW radar. Secondly, Turkey formally recognized the Turkish Republic of Northern Cyprus in 1983 (being the only nation to do so). By default, that admission recognizes the Turkish occupied portion of Cyprus as a separate independent nation from the rest of Cyprus. With the de facto admission of the sovereignty of Greek-supported Cyprus, Turkey had no basis for threatening a sovereign nation or interfering in its internal affairs. In a similar vein, Turkey was incensed in June of 1997 when Greek F-16s landed at Paphos Air Base in Cyprus, as a part of expanding defense ties between the two nations due in no small part to Turkish aggression over the S-300PMU-1 purchase. Once again, Turkey insisted on governing the internal affairs of an admittedly sovereign nation. The Turkish reaction was to examine the possibility of an airstrike against Paphos, irregardless of the fact that this would certainly lead to a confrontation with Greece. The Russian reaction to the evolving crisis was certainly interesting. Russia fervently maintained that the sale would proceed. After the Turkish government began to board and search vessels travelling to Cyprus, the Russian reaction became far more ominous. In October of 1997 the Russian Ambassador to Cyprus, Georgy Muratov, went so far as to state that any Turkish interference with the delivery of the missile systems would be treated as an act of war. Later, Russia examined the possibility of escorting the transport vessels with a naval surface action group, containing both the aircraft carrier Admiral Kuznetsov and the guided missile cruiser Peter the Great. This would appear to be an overly aggressive posture to protect a simple export sale of a few SAM batteries, but Russia wanted to ensure that their entry into the arms market in Western Europe was not interfered with. Despite continued threats from Turkey, the Cypriot government seemed willing to negotiate over the issue of the SAM systems. Various proposals were made to the Turkish government in an attempt to dissolve the crisis, but all were rejected. Perhaps the most interesting was a proposal from Cypriot President Glavkos Clerides to disarm the Cypriot national guard and place the funds from the defense budget in a UN account to improve infrastructure in the Turkish Republic of Northern Cyprus. His proposal was rejected by the Turkish government. In the end, President Clerides negotiated an agreement with Greece whereby the S-300PMU-1 components would be delivered to the Greek island of Crete, where they would remain under Cypriot control. Turkey decired this move as well. While no S-300PMU-1 SAM systems were ever deployed to Cyprus, Russian technicians did travel to the island nation and construct three sites, two for the missile systems and one for the 64N6E EW and battle management radar. 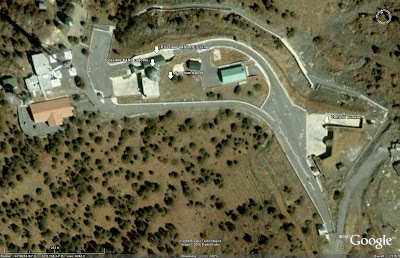 One missile site, along with the 64N6E site, was constructed atop Mount Olympus. The second missile site was constructed in the western part of the island near Drousha. 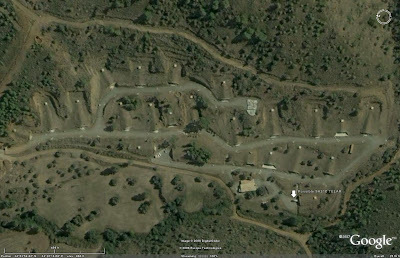 Imagery obtained of the Mount Olympus sites in September of 2003 depicts unused but complete facilities, suggesting that the S-300PMU-1 batteries would have been able to become operational in short order had they been delivered. The following image depicts the coverage provided by the S-300PMU-1 components had they been deployed. S-300PMU-1 range rings are red, while the blue ring denotes the range of the 64N6E EW radar. As can be seen in the image above, the system did not pose a significant threat to Turkish interests. It did, however, have the ability to monitor a great deal of airspace in Lebanon, perhaps representing the source of alleged Israeli objections to the deployment of the systems. 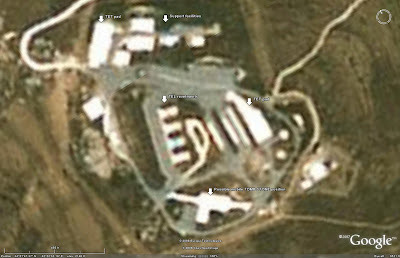 The S-300PMU-1 sites constructed on Cyprus exhibited a layout not before seen in any other S-300P family SAM deployment. It is possible that the sites were constructed with regard to the potential threat posed by the Turkish ATACMS missile system. Nevertheless, certain features can still be positively identified. Each site features four revetments, each intended to house a single TEL. Two TET pads for emplacing 40V6 mast assemblies, capable of mounting either the 30N6E1 (TOMB STONE) engagement radar or the 76N6E (CLAM SHELL) low altitude detection radar, are present. If mobility is desired, what appears to be a raised berm for mounting the 30N6E1 is also provided. Various support facilities are present as well. Although it is of considerably lower resolution, the following image depicts the Drousha S-300PMU-1 site. The lower resolution does not preclude the identification of various elements of the site. The 64N6E site is located adjacent to the Mount Olympus S-300PMU-1 site. In this instance, many of the site elements take on a more traditional appearance and can be found in nearly identical fashion at other 64N6-series sites worldwide. 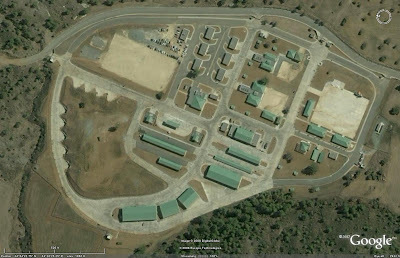 The most prominent features are the typical command bunker, a bunker for support vehicles, and what appears to be a raised berm for housing the 64N6E radar system. Alternatively, there is a radome which may also have been intended to house the 64N6E radar array. Protecting the radar array in such a fashion is not out of the question due to the fixed nature of the site. 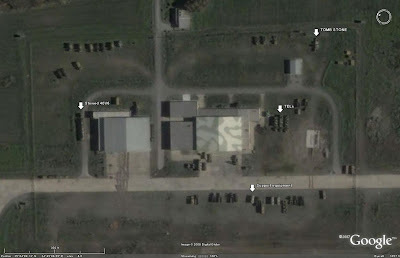 The presence of only two prepared sites configured to support an S-300PMU-1 battery would seem to indicate that only two batteries were ordered. Following Cypriot President Glavkos Clerides' December 1998 decision not to deploy the Russian strategic SAM system on Cyprus, the Greek government agreed to allow the weapons to be deployed on the Greek island of Crete. Turkey continued to complain, as it was stated that the systems would still be under Cypriot ownership, but the relocation of the systems to Crete would effectively neutralize them as they would no longer have the range necessary to threaten Turkish airspace. Naturally, the issue of a future deployment of the SAMs to Cyprus was not addressed, ostensibly to placate the Turkish government into backing down from threatening military action against the defensive systems. In return for not deploying the S-300PMU-1 in Cyprus, Greece agreed to transfer a number of Tor-M1 TELARs to Cyprus for air defense. S-300PMU-1 components were delivered to Crete by Russia in April of 1999. Initially, the S-300PMU-1 components were located at Nikos Kazantzakis. Shortly thereafter, at least some of the components were transferred to Tympaki, where the support facilities for the system had been located. By 2004, an S-300PMU-1 battery had been relocated back to Nikos Kazantzakis, along with the associated 64N6E EW radar complex. This battery was deployed to provide air defense for the 2004 Summer Olympics being held in Athens. 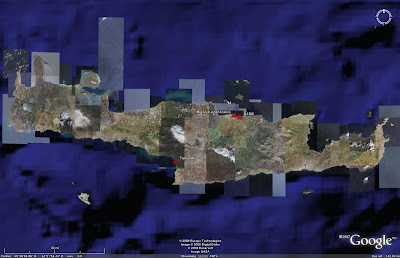 Analysis of open source imagery indicates that the battery deployed at Nikos Kazantzakis remained there as of June 2007, with the 64N6 radar no longer deployed. Elements of a second battery were still present at Tympaki as of January 2005. The Nikos Kazantzakis S-300PMU-1 deployment is organized in two areas on the grounds of Heraklion International Airport. The actual deployment site lies along the northeastern end of the main runway, with a garrison area for system components being found to the southeast of the airport terminal. Interestingly, it would appear that there are two 30N6E1 engagement radars at Nikos Kazantzakis, suggesting that more than two batteries may have been delivered. Standard practice is to purchase one engagement radar for each battery. It is also possible that the second radar was deployed from Tympaki to support the continued operation of the system after the Olympics and simply has not been redeployed. Open source photographs of the 64N6E radar system in operation has allowed the early warning and battle management site to be located. When the image was captured in June of 2007 the 64N6E had been removed, but the location is correct based on analysis of terrain features in the area. The photographs used to determine the location of the 64N6E emplacement will not be posted here in order to respect the copyrights of the respective owners. 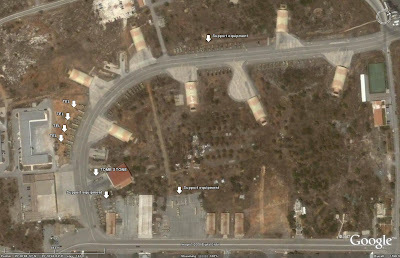 The Tympaki S-300PMU-1 garrison and support facility is located on the grounds of the former Tympaki Air Base along the southern coast of Crete. While the system was deployed to Nikos Kazantzakis for operational use in 2004, there is nothing precluding an S-300PMU-1 battery from operating at Tympaki. 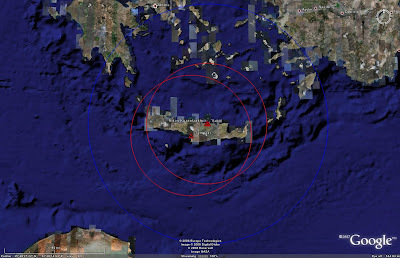 Imagery acquired in January of 2005 depicted a nearly complete battery in residence, supporting the theory that only two batteries were delivered (the second battery likely still residing at Nikos Kazantzakis). A 30N6E1 engagement radar can be seen in operation, as well as three TELs and a stowed 40V6 mast assembly for the 76N6E low altitude detection radar. The only limiting factor to operating an S-300PMU-1 battery out of Tympaki would be terrain. A large mountain range bisects the two S-300PMU-1 facilities on either coast, which would cause problems if the 64N6E EW and battle management radar was emplaced at the previously identified location east of Nikos Kazantzakis to support both batteries. In December of 2007, Cypriot ownership of the S-300PMU-1 strategic SAM system came to an end. An agreement was signed to formally transfer ownership of the systems to Greece, effectively ending a ten year political incident. 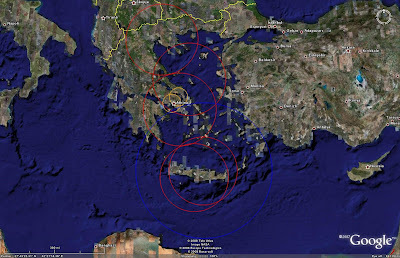 Formal Greek inclusion of the S-300PMU-1 into the Hellenic air defense network would fill a large gap along the southern flank of Greek territory. 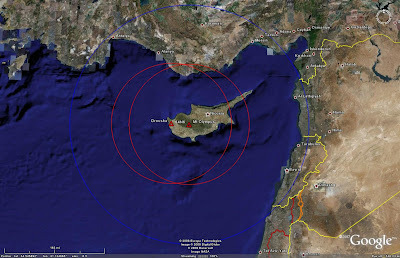 As the following image demonstrates, activating both S-300PMU-1 batteries would provide air defense for the entire island of Crete and a large portion of the surrounding airspace. The range of the 64N6E radar is illustrated as a blue ring, with red rings denoting the engagement zones of S-300PMU-1 batteries deployed at each identified associated location. Greece currently relies on three PATRIOT and two HAWK batteries for air defense. The following image illustrates that the inclusion of the S-300PMU-1 into the overall air defense network would allow for a significant increase in capability along Greece's southern flanks. S-300PMU-1 and PATRIOT ranges are depicted as red rings, HAWK ranges are depicted as orange rings, and the 64N6E radar range is depicted as a blue ring. With the S-300PMU-1 out of the equation, Cyprus still sought a solution to the air defense question. A long-range system was clearly no longer a viable option unless Cyprus desired to continue enhancing the Greek air defense network. Cypriot officials were not overly enamored of the Tor-M1 systems provided by Greece, as they had a short range precluding any significant impact on the nation's air defense posture. Cyprus may have found a solution in another Russian SAM product, the Buk-M1 (SA-11 GADFLY). In March of 1999 Turkish newspapers were reporting the sale of the Buk-M1 to Cyprus. While not a strategic SAM system in the vein of the S-300PMU-1, the Buk-M1 has a respectable engagement range of 35 kilometers and also enjoys an advertised ATBM capability. Being a tactical system not tied to a fixed, prepared site, the Buk-M1 is also highly mobile, complicating any potential targeting efforts. Examination of military installations in Cyprus has resulted in the location of two facilities which may be home to Cypriot Buk-M1 components. 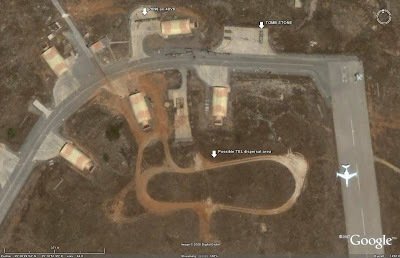 Imagery captured in October of 2003 depicts what may be a garrison facility as well as a hardened storage site for housing missile reloads or system components themselves. The garrison site, located at 34°54'27.17"N 33°20'22.88"E, can be seen in the image below. 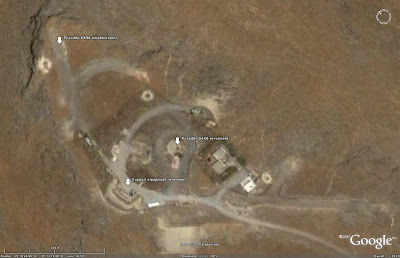 The site appears to be well maintained and displays features in common with the Mount Olympus S-300PMU-1 facilities, suggesting possible Russian invovlement in its construction. 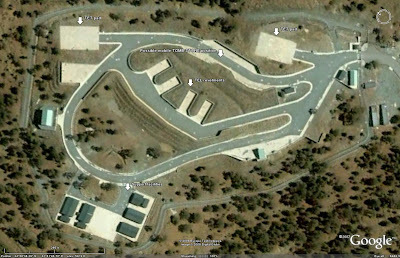 The hardened storage facility, located at 34°53'51.77"N 33°20'14.42"E, can be seen in the image below. A possible 9A310 TELAR can be seen in the entrance of one of the bunkers. The object compares well with field deployed 9A310 TELARs identified in Russia. While the S-300PMU-1 purchase was widely reported, it would appear that any Buk-M1 deal has been kept out of the public eye. This was likely done in an effort to avoid yet another diplomatic exercise with Turkey. It is possible that Greece acted as the buyer for Cyprus. A Ria Novosti article in December of 2007 alleged that Greece had procured the Buk-M1-2 system at some point in the past, a 45 kilometer evolution of the Buk-M1 incorporating the 9M317 missile from the Buk-M2 system. Whatever the case may be, the evidence suggests that Cyprus has in fact procured some variant of the Buk family to solve its air defense question. Despite continued posturing by the Turkish government after the plan to deliver the S-300PMU-1 systems to Crete was announced, the conflict rapidly abated. While the issue of Cyprus itself still remains unresolved, on this occasion cooler heads prevailed to ensure that the once-likely military conflict did not transpire. What remains is perhaps a new understanding of the many issues facing the nations resolved to end the political conflict continuing to grasp the island nation.